The purpose of this module is to introduce the concept of variation. It begins by defining quality. If we want to produce quality products and services, we must understand what a process is and why it is important that we focus on the process - not the end product or service. 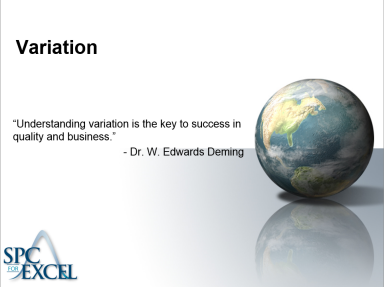 Variation is then defined.